Siemens is one of the world’s largest producers of energy-efficient, resource-saving technologies and a leading supplier of systems for power generation and transmission. 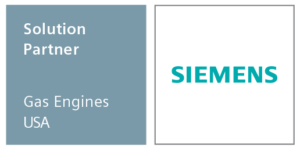 Backed by more than 50 years of experience, Siemens gas engines provide energy solutions ranging from a bare engine to a complete generation plant. 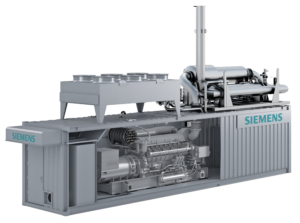 As a single-source supplier, Valley offers a comprehensive product portfolio of robust and high performance Siemens gas engines and gen sets with power ratings between 200 Kwe up to 2 Mwe suitable for all sort of different fuel gases, including syngas, landfill, digester, natural gas, well gas and propane. Our integrated sales and application engineering team works directly with the customer to develop a customized power package and to implement smooth and efficient project implementation. Valley provides a full OEM and aftermarket parts inventory and is committed to delivering maintenance and repair with minimal downtime. Either on site or at one of our repair facilities throughout California, our highly skilled service specialists provide support wherever it is needed, including 24/7 emergency parts and service support. We also provide a full OEM warranty on work performed and on most components and assemblies repaired by our well-trained specialists.